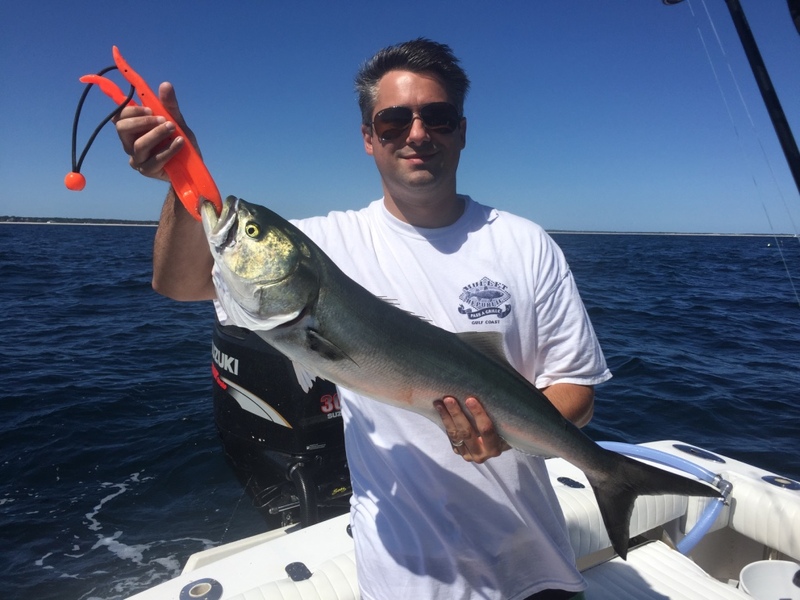 The bluefish is one of Cape Cod’s most exciting game fish. ‘Blues’ grow to a maximum size of 30 pounds (The world record is 31 lbs 12 oz.). Most of the blues we see in Cape waters are in the 5-15 pound range, but we caught several in the 17 to 20 pound range in 2015 and would love to have you catch a new world record on the boat this year! We are frequently able to catch them casting poppers on the surface. The bluefish smash these lures with abandon, striking so fast and hard they frequently miss the lure all together on the first strike; but do not fear, they will be back on your popper in an instant! 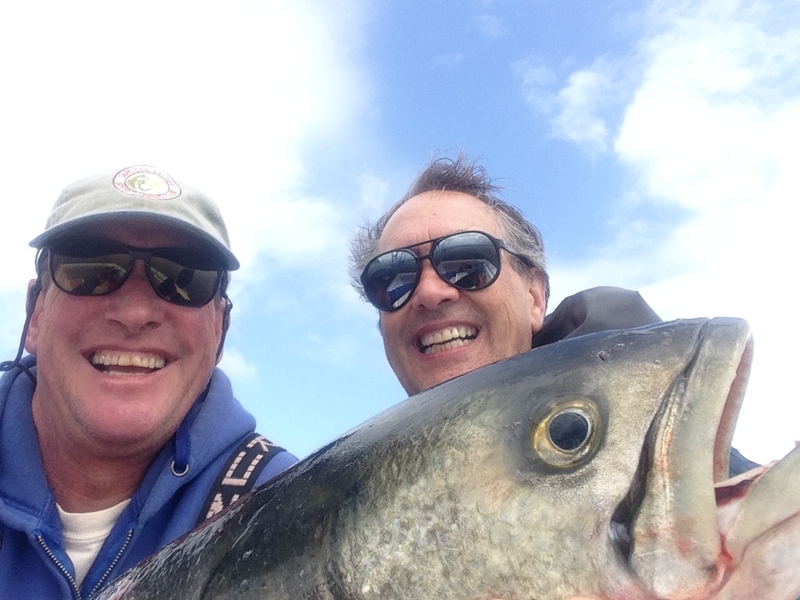 “Top-water” action like this is widely acknowledged to be THE most exciting form of sport fishing. Bluefish are by far the most acrobatic of our local species, frequently jumping multiple times when hooked on light tackle. Extremely strong fish, they make repeated, long blistering runs. Local lore says that if you tie a bluefish and a striped bass of equal weight tail-to-tail, the bluefish will drag the striped bass from one end of the Cape to the other! 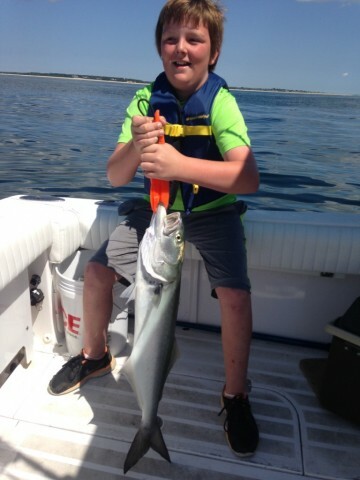 Check out our Bluefish Trips and Rates. Bluefish are seasonal visitors to Cape Cod waters, usually arriving in mid-June and staying through mid-October. They spend winters in warmer waters from North Carolina south to the tip of the Florida. In the spring Blues breed and migrate north, following large populations of bait fish including menhaden, mackerel, herring and squid. Frequently found chasing bait near the shoreline, they will pursue schools of bait right up onto the beach in a frenzy known as a bluefish blitz. Feeding frenzies also occur in the waters offshore, with blues encircling schools of bait and then decimating them. They have amazingly sharp teeth and will streak through schools of bait fish biting indiscriminately and leaving chunks of bait in their wake, earning them the nickname choppers. Bluefish deserve a healthy dose of respect when brought on board the boat as they will continue snapping with razor-sharp teeth at anything that moves!! 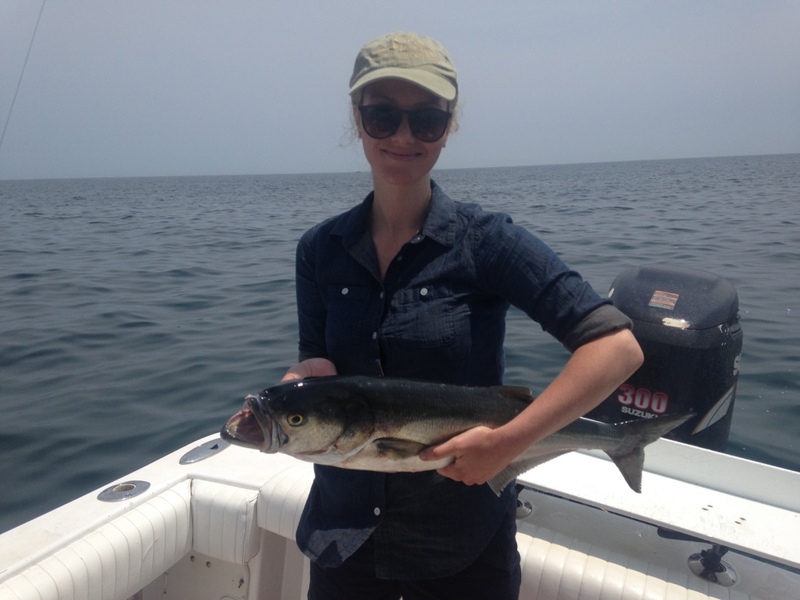 If you have enjoyed battling Bluefish before, I know you are ready to come aboard and do it again! 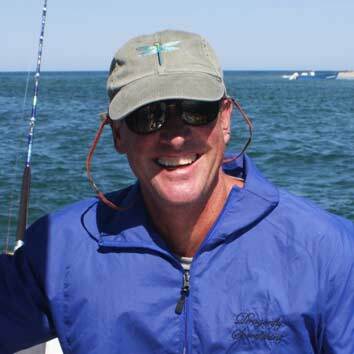 If you have not, I look forward to introducing you to one of the most exciting fishing experiences on Cape Cod. 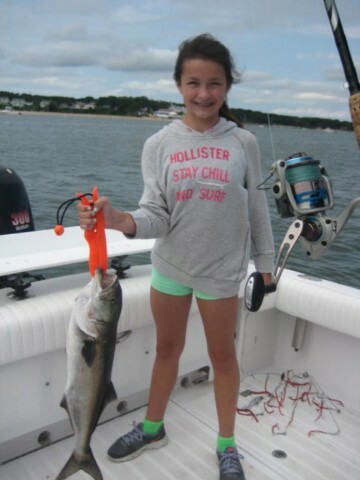 Check out our Bluefish Trips and Rates. Come and join me for an unforgettable trip on the Dragonfly!